© Monkey Business – Fotolia.com All rights reserved. When most of today’s parents were kids, there were no computers, no video games, no cable TV channels, and few fast food restaurants. Back then, most kids spent their days riding bikes, climbing trees, and playing tag. The family got together at dinnertime, sat at the kitchen table, and ate a home-cooked meal. Until recently, only 5 to 10 percent of America’s children were overweight. Today, about one in three American kids and teens is overweight or obese, nearly triple the rate in 1963. There isn’t a racial, ethnic, or age group that escapes this mind-boggling fact, and boys and girls are both affected. Obesity is thus the most prevalent nutritional disease of children and adolescents in the United States. Eighty percent of overweight ten- to thirteen-year-olds will become overweight adults. The more overweight a child is, the higher his or her risk for adult obesity and type II diabetes. You may have known for a while that your child is overweight — maybe even obese — but you probably weren’t sure how to combat the condition. Maybe your pediatrician has said he’d grow out of it or has recommended a low-fat diet; your friends may have suggested exercise; your mother may have made you feel guilty and even hinted that maybe he needs therapy. Maybe you’ve tried one or all of these approaches, and they didn’t work. No wonder: the issues are not simple. Having an overweight child can be difficult, embarrassing, and complex. The media bombards us with images of beanpole-thin, blemish-free, muscular people. Oprah and Rosie are helping to counteract the message that everyone is tiny; but for every healthy, yet not petite, celebrity there are many superthin supermodels. The images saturate our daily lives, pressuring families of overweight kids from every direction. Then there are your child’s peers. Although more and more kids today are overweight, this doesn’t mean that they are rallying together against schoolyard ridicule. It doesn’t cushion the pain of being called names, or dry the tears when, once again, your child is the last one picked for the school baseball team. And finally, there you are. A concerned parent grappling with feelings of guilt, helplessness, maybe some anger, and plenty of worry. You know there’s a problem, but like the hundreds of parents we’ve worked with, you vacillate about what to do. The notion that your child isn’t the only overweight kid on the block may seem like a legitimate reason to wait until he grows out of it, or go with the flow. In truth, however, permitting your child to remain overweight is a choice you make. And with that choice, your child — and the vast majority of the other chubby kids — will endure difficult mental and physical struggles, as well as lose hope for a bright future. That’s because the dramatic medical and emotional problems that develop when your child is overweight will follow her through her teenage years and into adulthood. If you choose not to make changes while your child is still young, chances are she may suffer from any of several deleterious conditions, including low self-esteem, depression, isolation, asthma, diabetes, high blood pressure, high cholesterol, abnormal bone development, and sleep apnea. What’s more, the damage resulting from an overweight childhood is usually damage done; that is, it’s typically irreversible, creating a lifetime of emotional and physical obstacles for your child. And that lifetime, statistically speaking, will end sooner rather than later. The good news is that we now have scientifically supported, clinically proven methods that can help your child lose weight and keep it off. The step-by-step proven techniques in the Trim Kids Program will see your child through a positive and lasting transition that promises a healthier, happier childhood and adulthood. For the past fifteen years, the Committed to Kids Pediatric Weight-Management Program at the Louisiana State University Health Sciences Center in New Orleans has conducted studies on childhood obesity and learned how to break the vicious circle of overweight and related problems in children. Our hands-on clinical setting has provided the perfect laboratory to discover what’s unique about overweight children and how their families can help them make healthy changes to ensure that they grow into healthy adults. This program, which we have translated for home use into the Trim Kids Program, is one of the only multidisciplinary team approaches in the world for preventing and treating childhood obesity. Our short-term success rate is 90 percent; our long-term success rate is 65 to 70 percent. We are a team of medical experts and scientists — an exercise physiologist, a registered dietitian, and a research psychologist — who have pooled our knowledge, time, and passion for finding solutions to childhood weight problems. Since 1993, we have trained more than 100 medical and health professional groups throughout the United States, Europe, Central and South America, and Asia in how to use our techniques. In 1997, because of the high demand for our services, we began conducting: professional training seminars twice annually. To date, we have trained ten affiliate programs located in Arizona, Louisiana, Missouri, Texas, Washington, Illinois, and Ohio. Our website, www.Trim-Kids.com, provides information on childhood weight problems for parents and professionals alike. We have consulted and lectured about weight management for major international corporations, hospitals, and scientific organizations and have appeared on radio and television and in print nationwide. Melinda S. Sothern, Ph.D., M.Ed., C.E.P., is the director of the – Louisiana State University (LSU) Prevention of Childhood Obesity Laboratory at the Pennington Biomedical Research Center in Baton Rouge and also serves as director of the Pediatric Obesity Clinical Research Section and an assistant professor of research at the LSU Health Sciences Center (LSUHSC) in New Orleans. During her early career, when she was teaching physical education and coaching swimming and cheerleading, she first observed how terribly excess weight could affect schoolchildren. She developed a unique approach that, provided opportunities for all children to participate in physical education and athletics, regardless of size or initial ability. During this time, she also assisted European sports medicine experts with exercise testing of elite US., European, and Australian competitive swimmers and began developing her interest in exercise physiology research. Dr. Sothern directs the research efforts and treatment program of the Pediatric Obesity division at LSUHSC. A licensed clinical exercise physiologist, she revolutionized the pediatric exercise science field with her work in physiologic function and childhood obesity, and moderate-intensity, progressive exercise for children with chronic diseases. The results of her research have been widely published in scientific journals including Clinical Pediatrics, European Journal of Pediatrics, Journal of the American Dietetic Association, Pediatric Exercise Science, Journal of Investigative Medicine, International Journal of Pediatrics, Acta Pediatrica, Southern Medical Journal, Obesity Research, and others. Dr. Sothern has led her field in establishing standardized guidelines for prescribing exercise for children with increasing levels of obesity. Her work in motivating overweight children to be active, based on social cognitive theory, has set the standard for health promotion in children nationwide. She is best known for her work in promoting active play as a means of preventing and treating childhood obesity. She has been a member of the American College of Sports Medicine and the North American Association for the Study of Obesity for more than ten years and currently serves as chairman of the Pediatric Obesity Interest Group. Dr. Sothern is a scientific reviewer for the Journal of Pediatrics, International Journal of Obesity, American Journal of Clinical Research, Medicine and Science in Sports and Exercise, Journal of Sport and Exercise Therapy, and Obesity Research. She is also a member of the United States Centers for Disease Control’s expert panel on childhood obesity. T. Kristian von Almen, Ph.D., is an adjunct assistant clinical professor in pediatrics at LSUHSC and a child development specialist with the Family Advocacy Care and Education Services (FACES) program of Children’s Hospital in New Orleans. Dr. von Almen served as local coinvestigator and intervention director for the Dietary Intervention Study in Children, a clinical trial conducted from 1988 to 1998 in six major U.S. cities and funded by the National Institutes of Health. This program demonstrated the safety and efficacy of a low-saturated-fat diet for lowering LDL-cholesterol levels in preadolescent children while maintaining adequate growth and development through their teenage years. Dr. von Almen’s interest in childhood weight problems began in 1986 when, as a postdoctoral intern, he began illuminating the psychosocial and intervention needs of overweight children and their families. His innovative approach to treating childhood weight problems through the use of family-based multidisciplinary programs, coupled with his emphasis on the A-Factor (positive Attention, Accountability, and Attitude) and relapse prevention program, have proved so successful that they are now used as models for clinicians and scientists worldwide He is a coauthor of articles published in popular and scientific journals including Journal of the American Medical Association, Health Psychology, Pediatric and Adolescent Medicine, American Journal of Disease in Childhood, and Obesity Research. Heidi Schumacher, R.D., L.D.N., C.D.E., is the chief clinical dietitian at Children’s Hospital in New Orleans, where she has practiced infant, pediatric, and adolescent nutrition since 1988. Her passion for developing and expanding the nutritional component of the Pediatric Weight Management Program and her years of experience as a pediatric dietitian and Certified Diabetes Educator in a regional pediatric medical center qualify her as an authority on meeting children’s nutritional needs while they reach their weight management goals. Ms. Schumacher has developed and conducts weekly hands-on outpatient educational sessions for overweight and obese children and their families to inspire new ways of understanding, cooking, and eating food. Her one-on-one interactions; with these families have enabled her to establish healthy diets and kitchen habits that families can easily integrate with their lives. She also enjoys creating nutritious, kid-approved recipes that satisfy children’s taste buds, meet their energy requirements, and encourage healthy, low-fat eating. Ms. Schumacher’s objective is to keep the fun in food selection, preparation, and consumption. As a Certified Diabetes Educator, she established the nutritional prescriptions and conducts both diabetes and nutritional education for children and adolescents with diabetes mellitus. Her passion is to help children and families to develop manageable dietary habits for optimal health and well-being. Our combined knowledge, clinical research results, and years of inpatient and outpatient experience have given us a deep understanding of the unique challenges facing overweight children and their parents. But without your own active involvement and commitment to your child’s well-being, the Trim Kids Program — or any program — cannot reap long-lasting results. 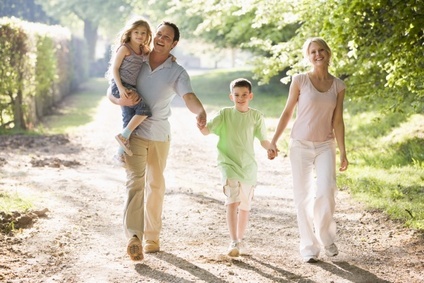 You are the key to your child’s success at losing weight and maintaining a healthy lifestyle. You will not be doing this alone, however. Through this book, we will guide you every step of the way so that you and your child will come out winners. From Trim Kids by Melinda S. Sothern, Ph.D., M.Ed., C.E.P. ; T. Kristian von Almen, Ph.D.; and Heide Schumacher, R.D., L.D.N., C.D.E. Copyright 2001. All rights reserved. HarperCollins Publishers.